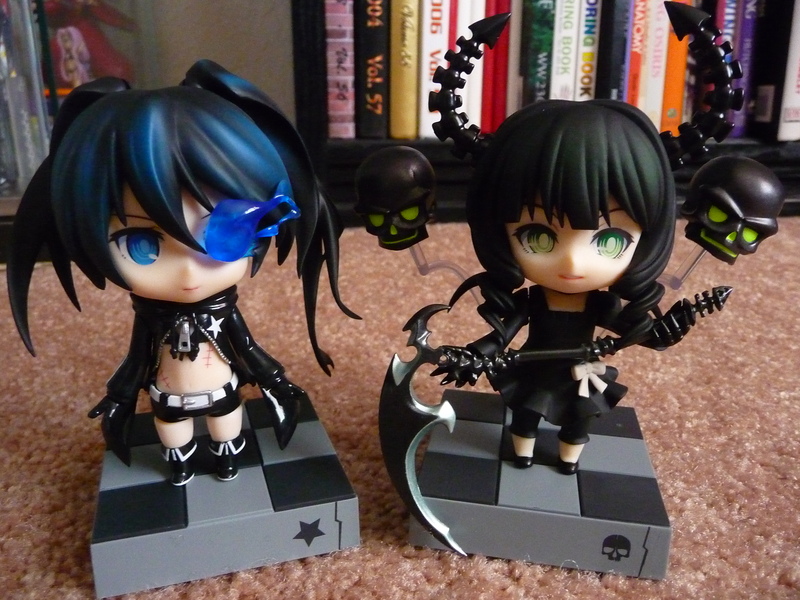 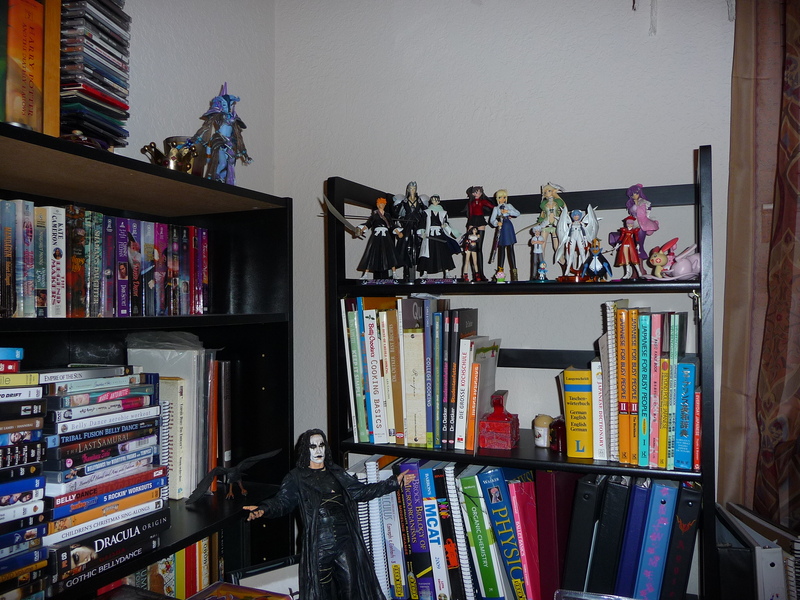 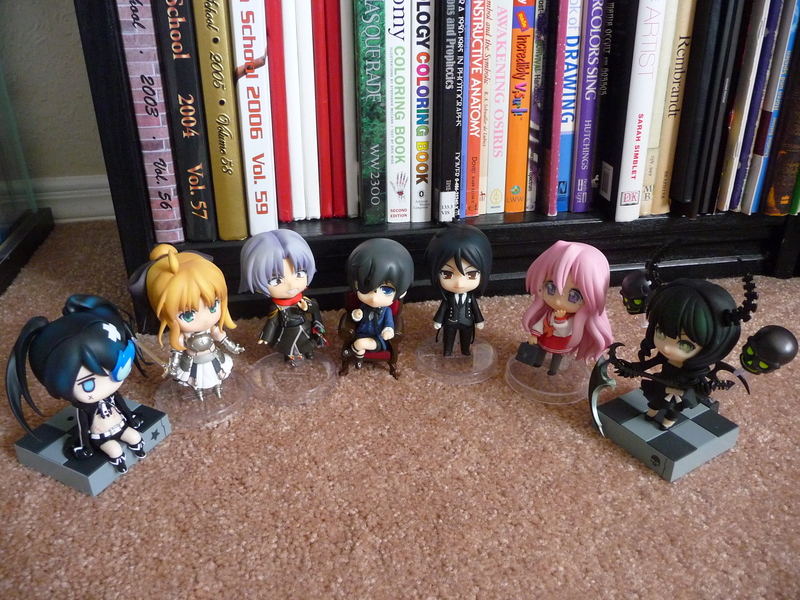 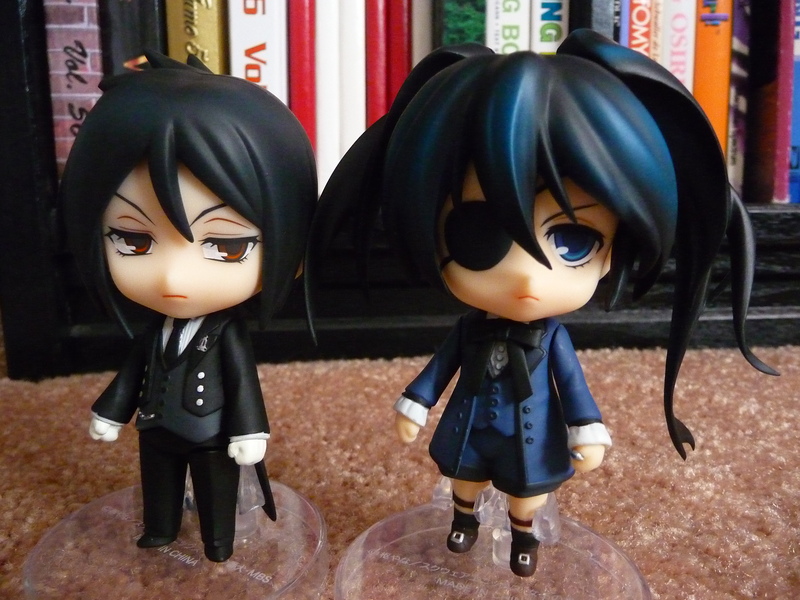 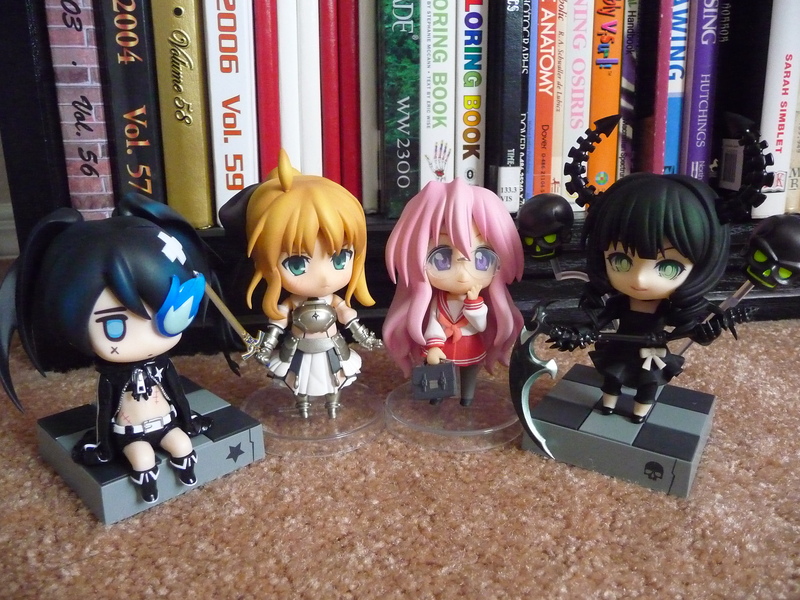 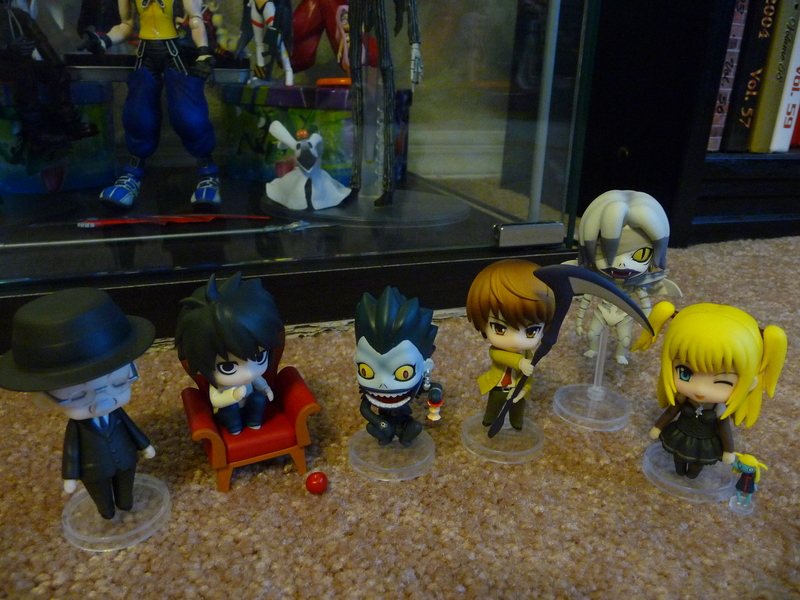 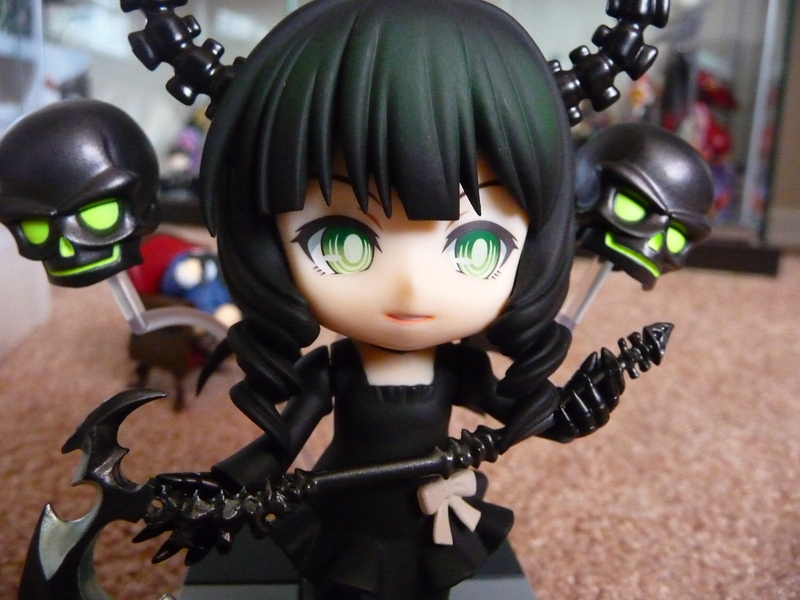 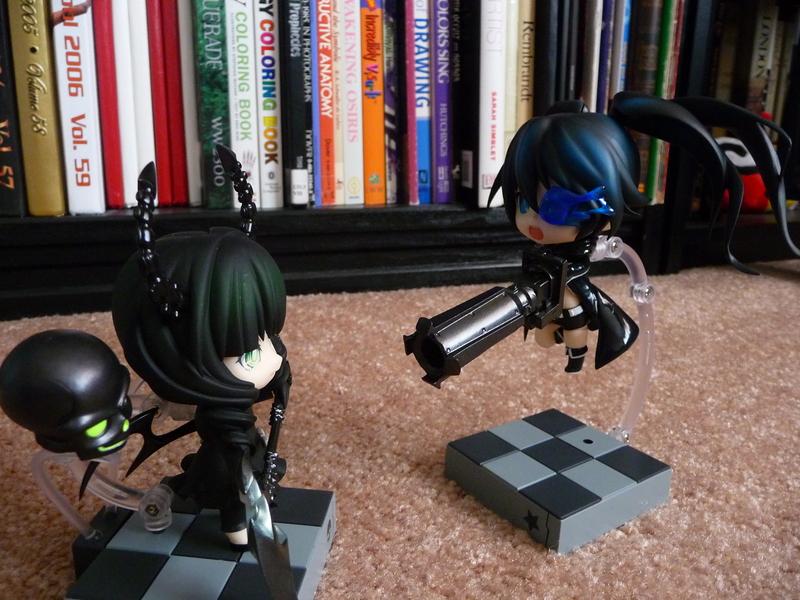 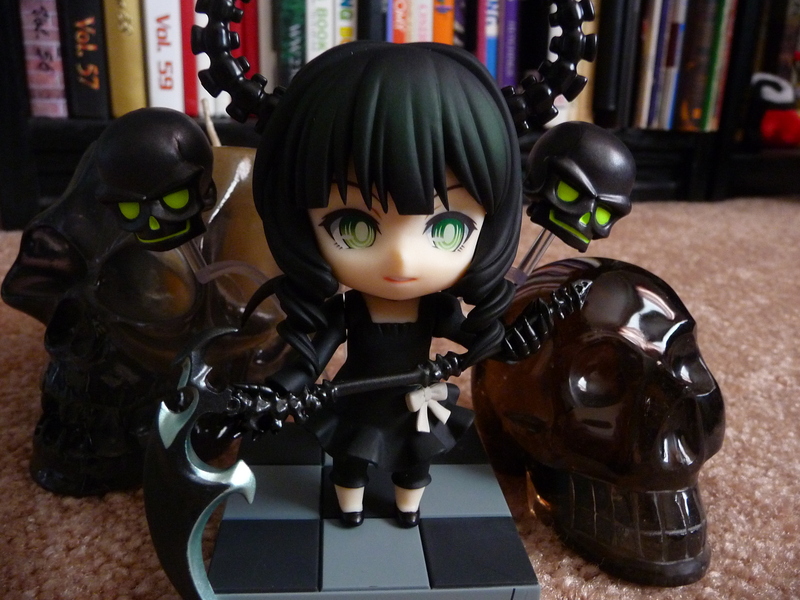 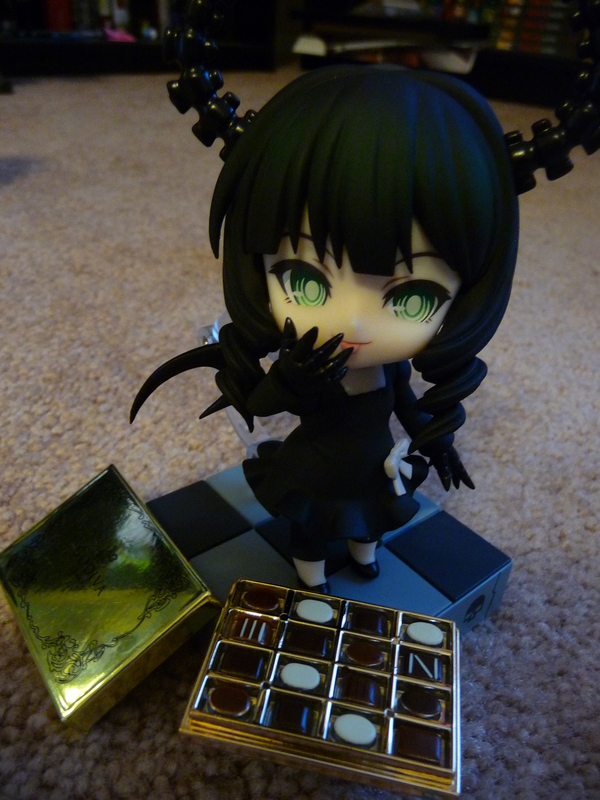 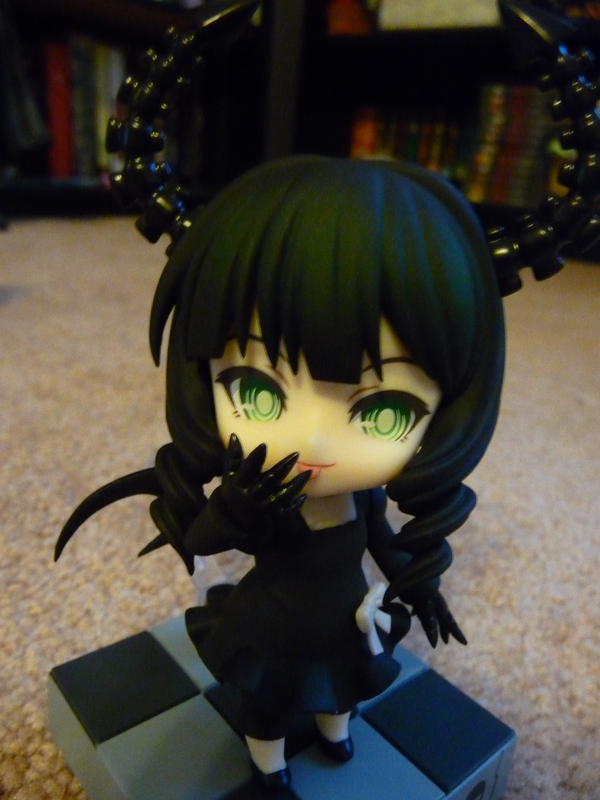 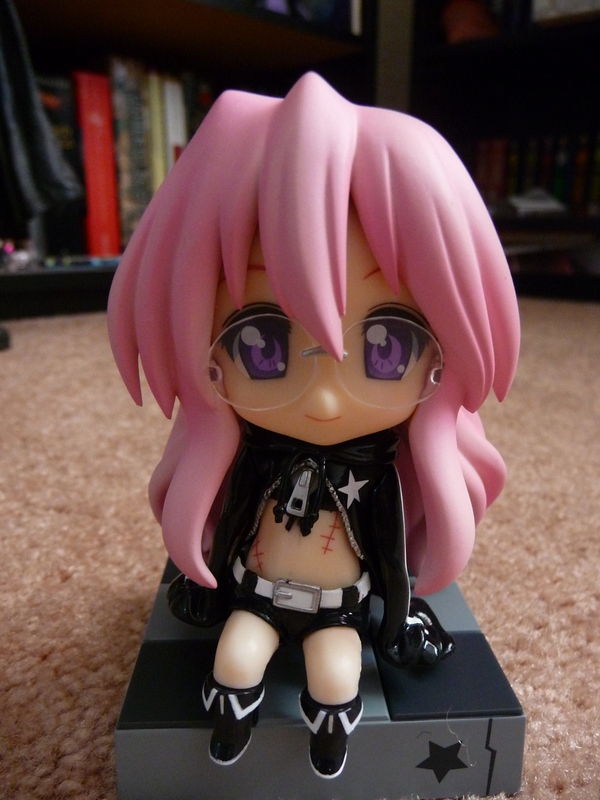 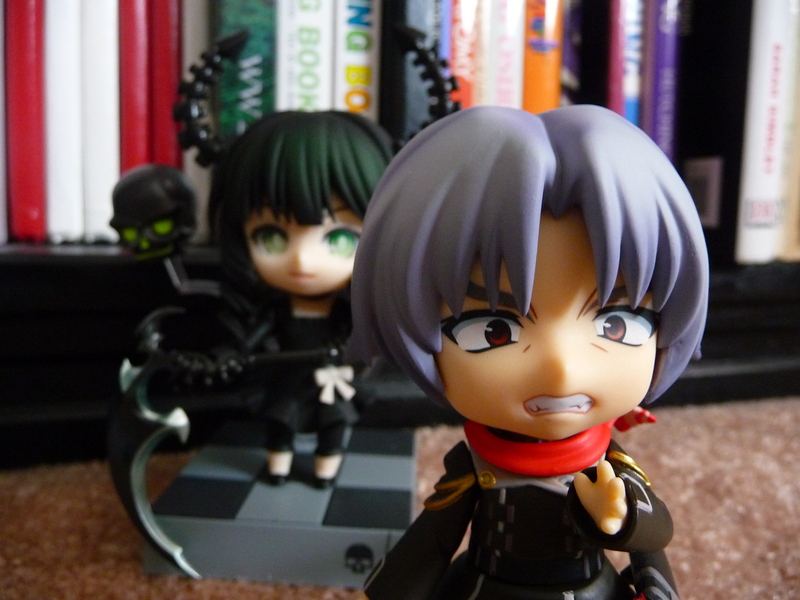 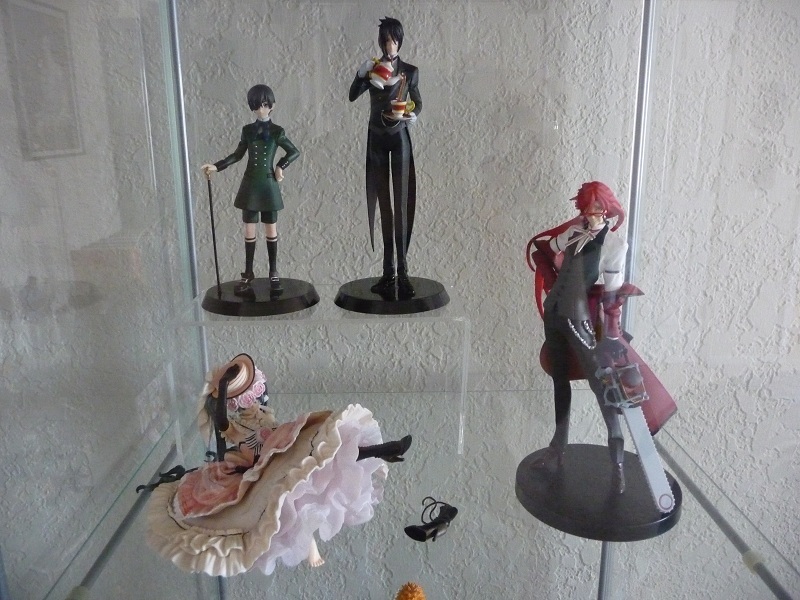 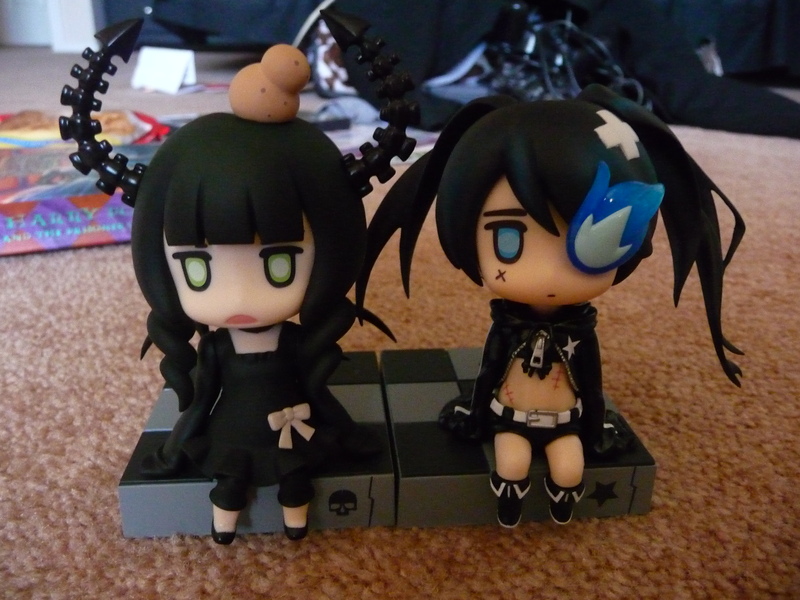 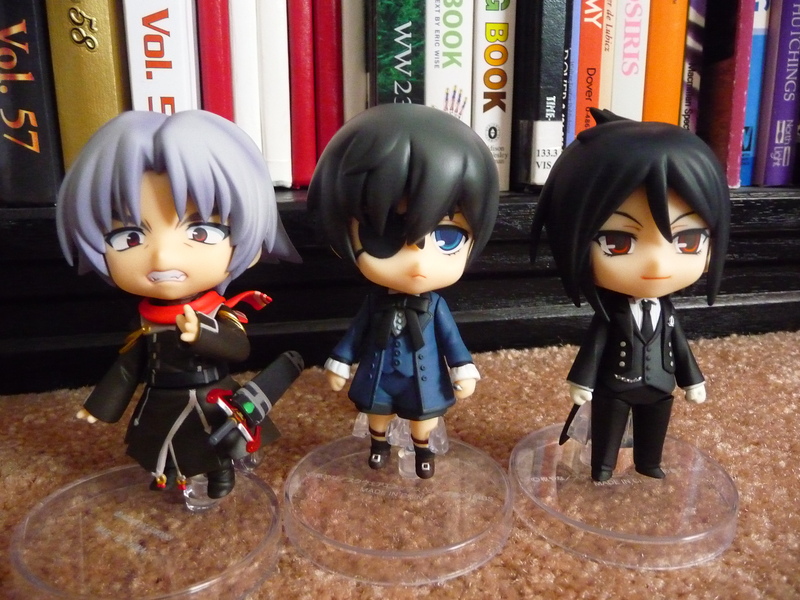 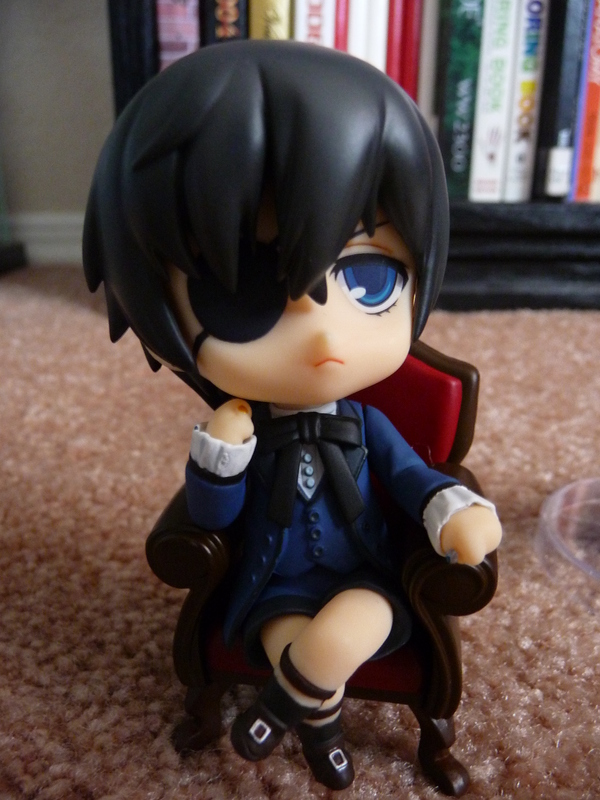 The Black Butler nendoroids got moved to the nendoroid shelf. 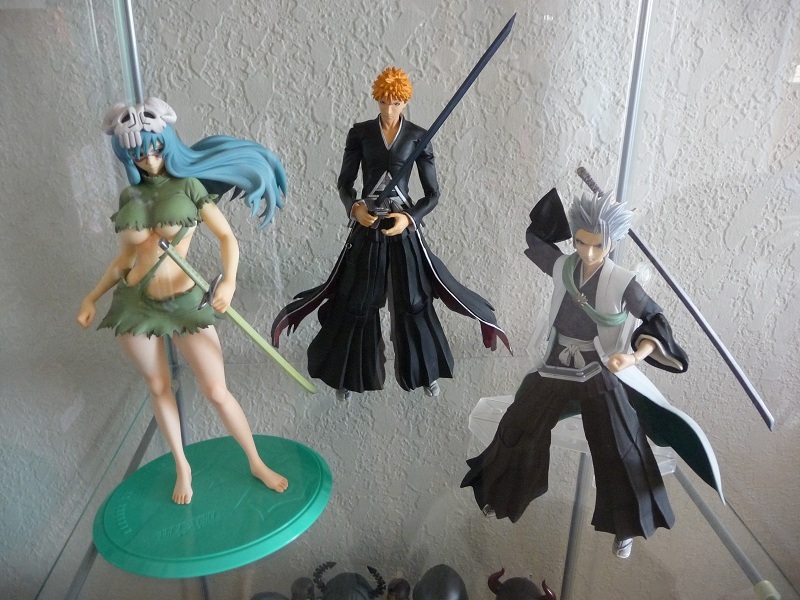 The Bleach toynami and trading figures got moved to the odds and ends shelf, they made the Bleach shelf look too busy. 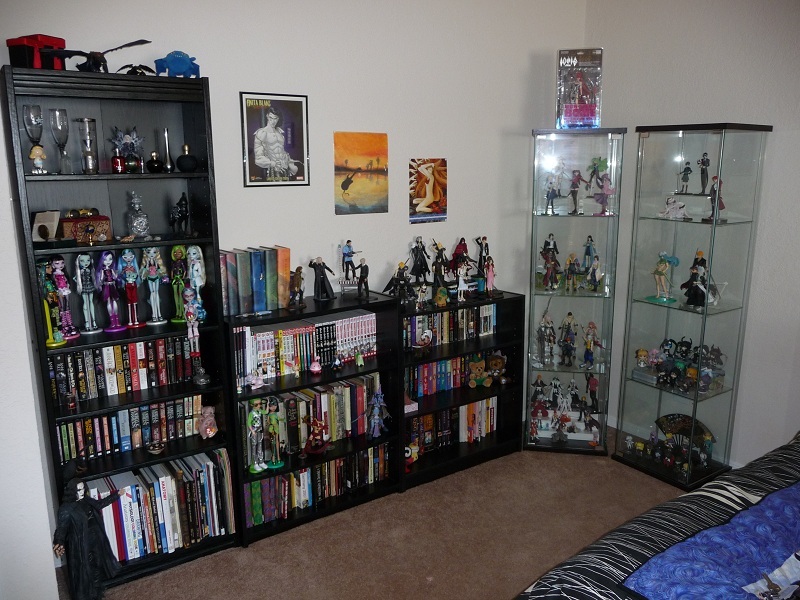 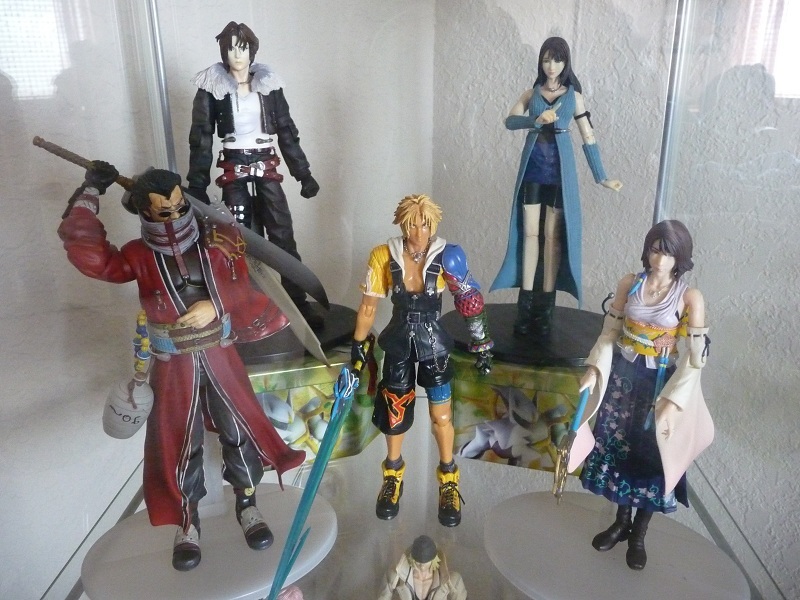 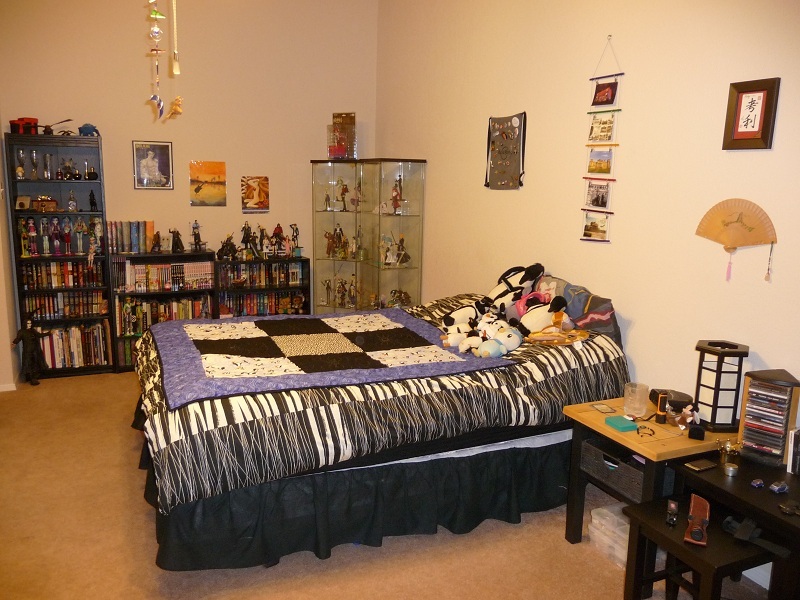 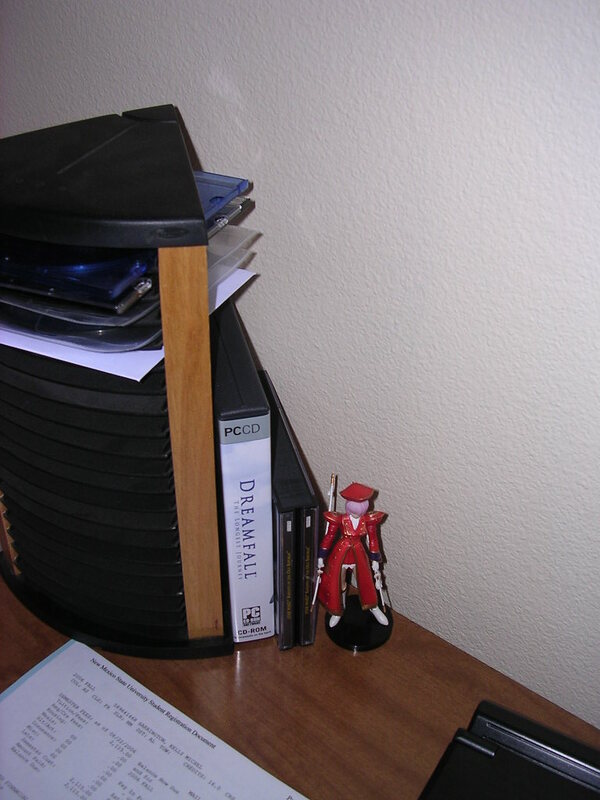 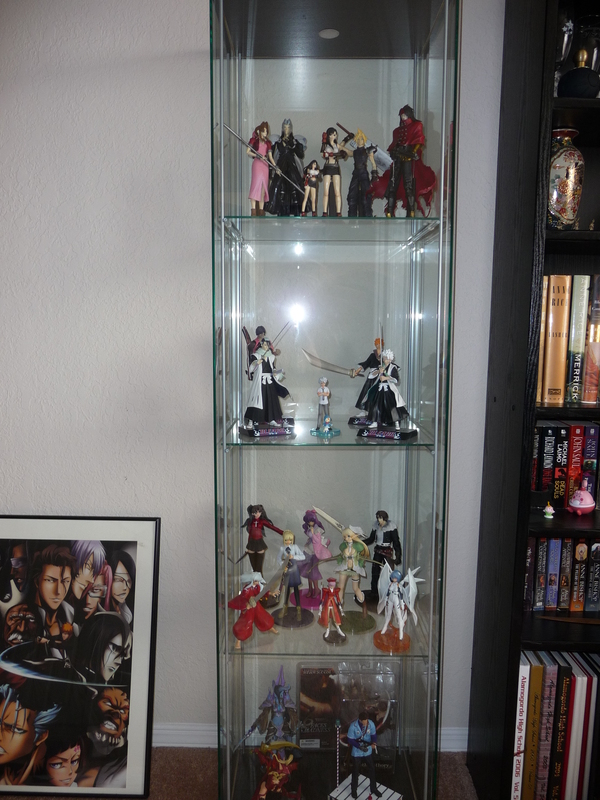 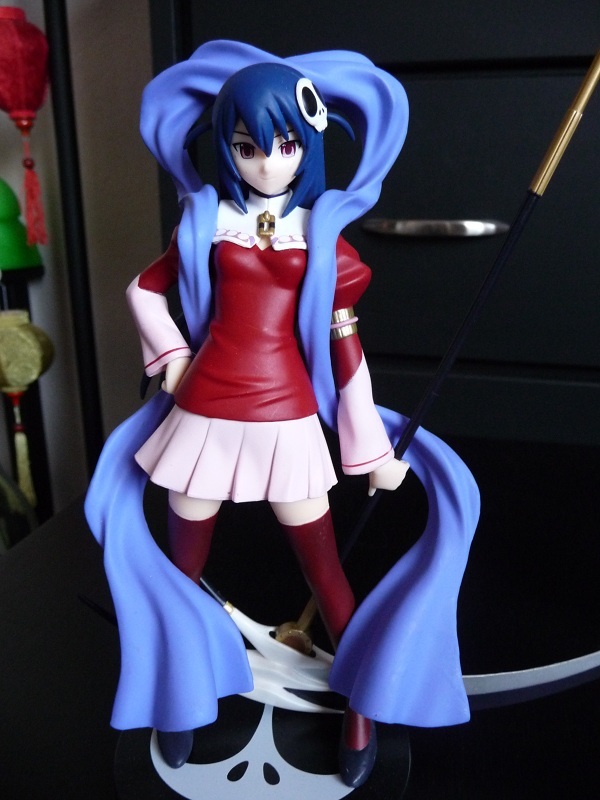 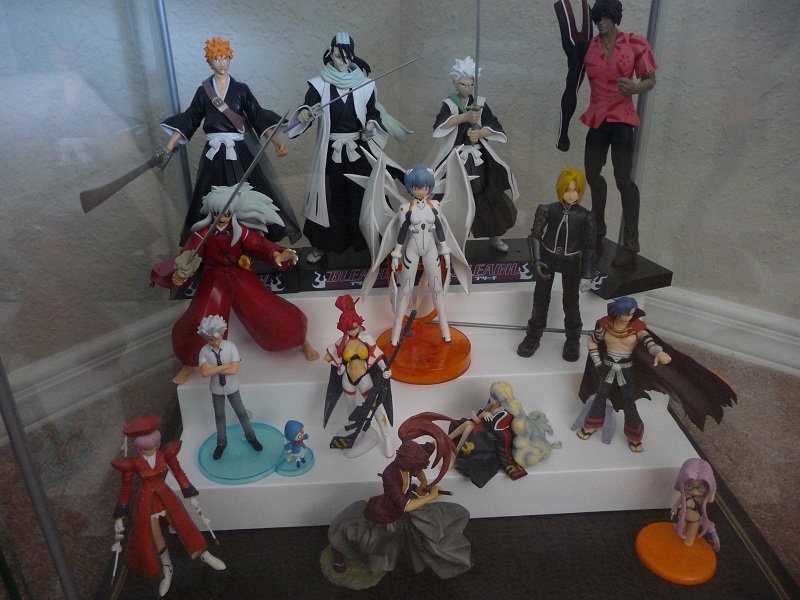 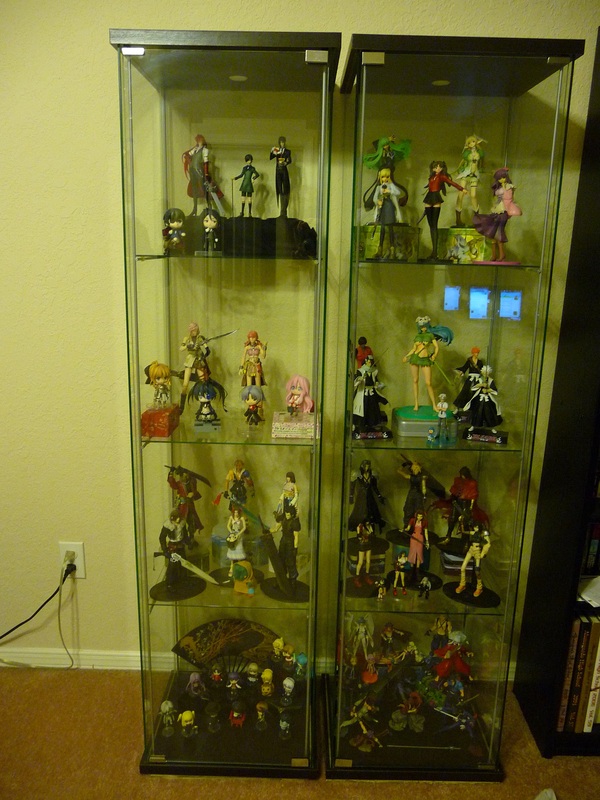 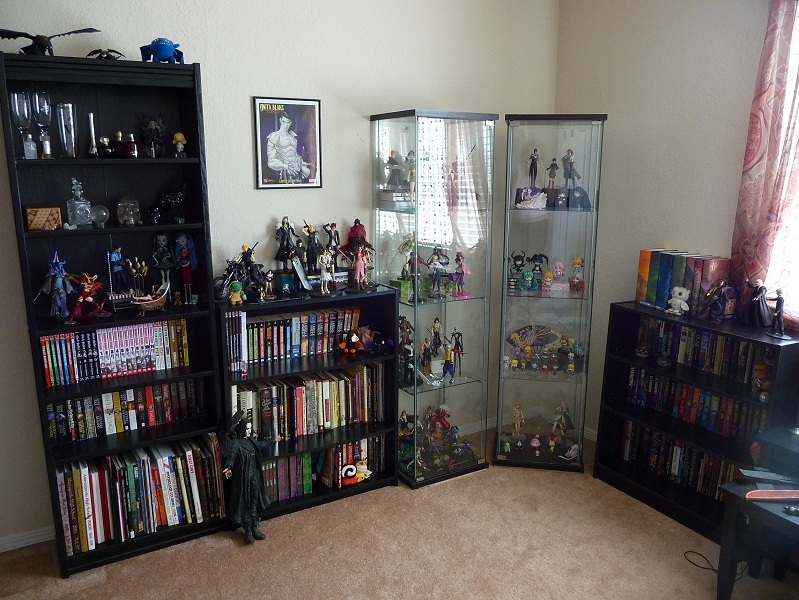 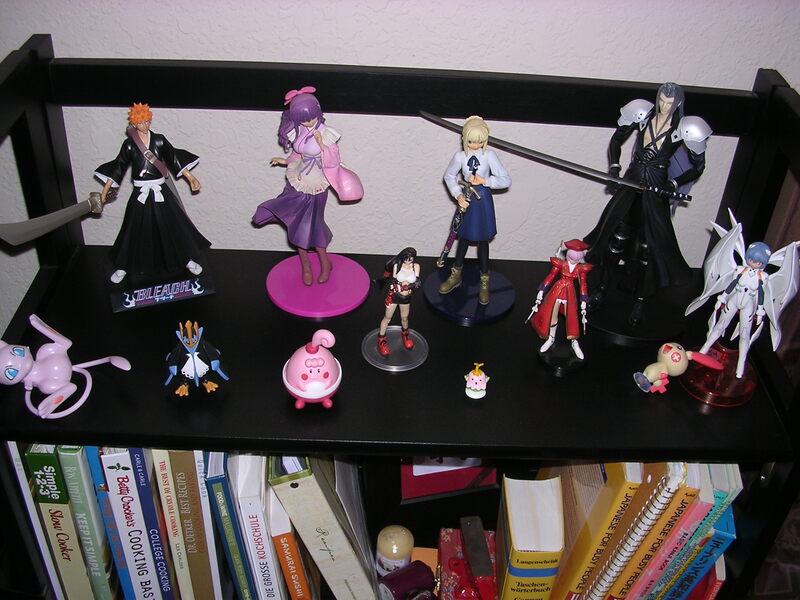 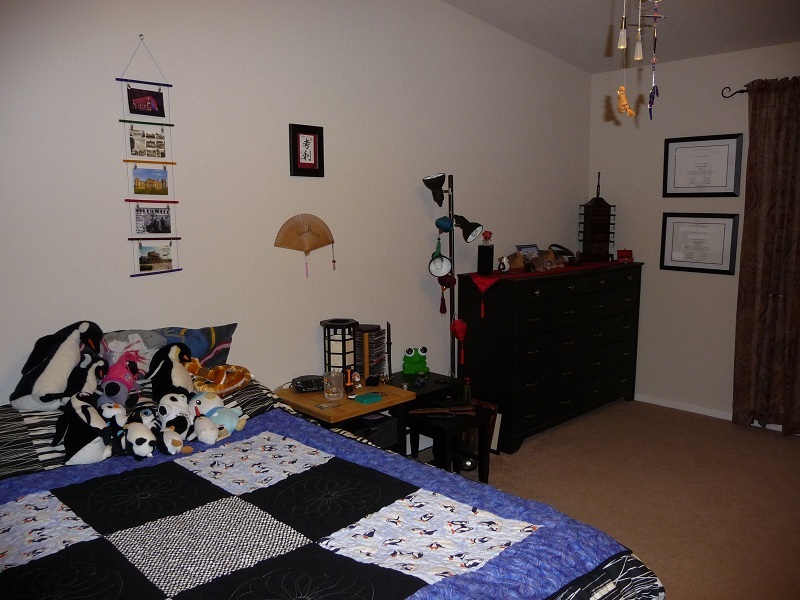 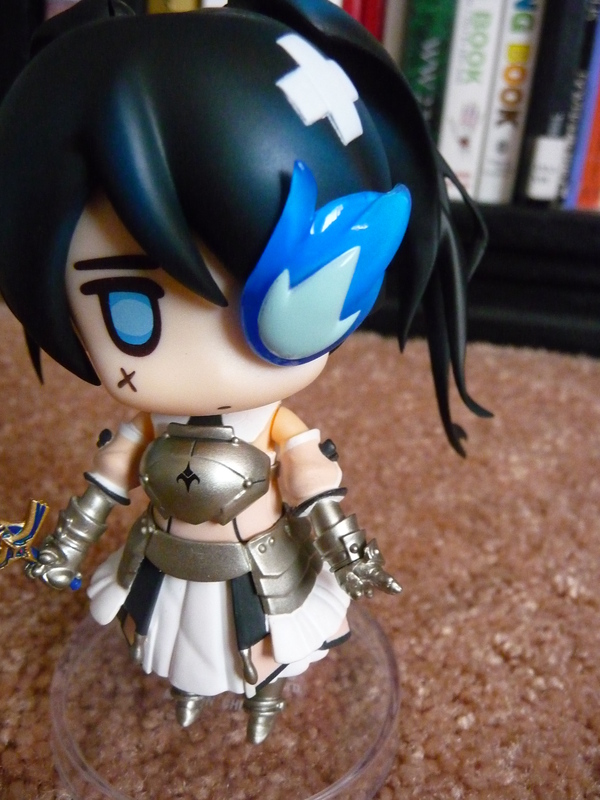 I’m going to sell most of my story image Kenshin figures, with the exception of Kenshin himself who is still displayed. 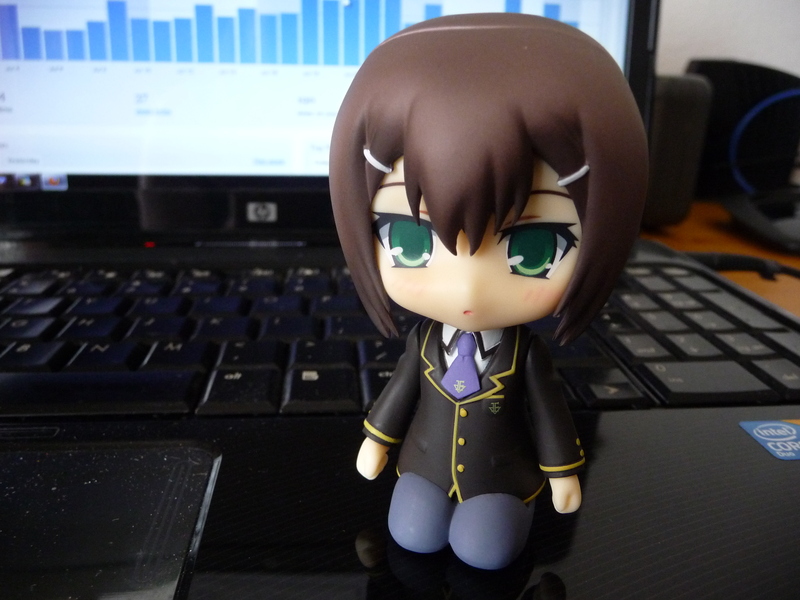 My MCAT has come and gone, and soon summer break will be over =(. 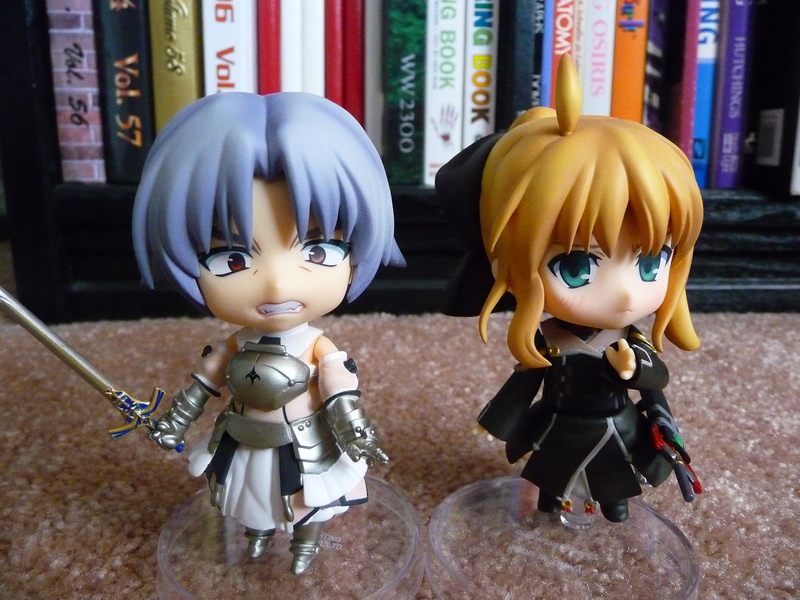 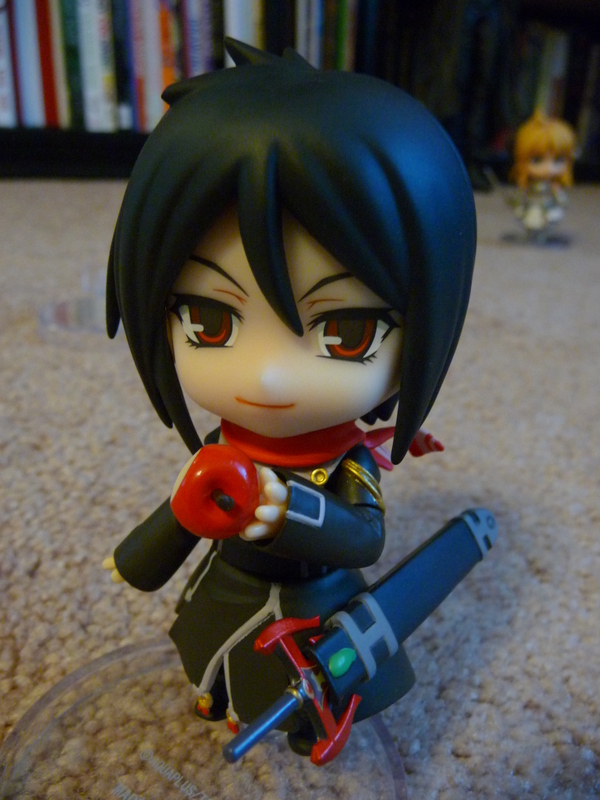 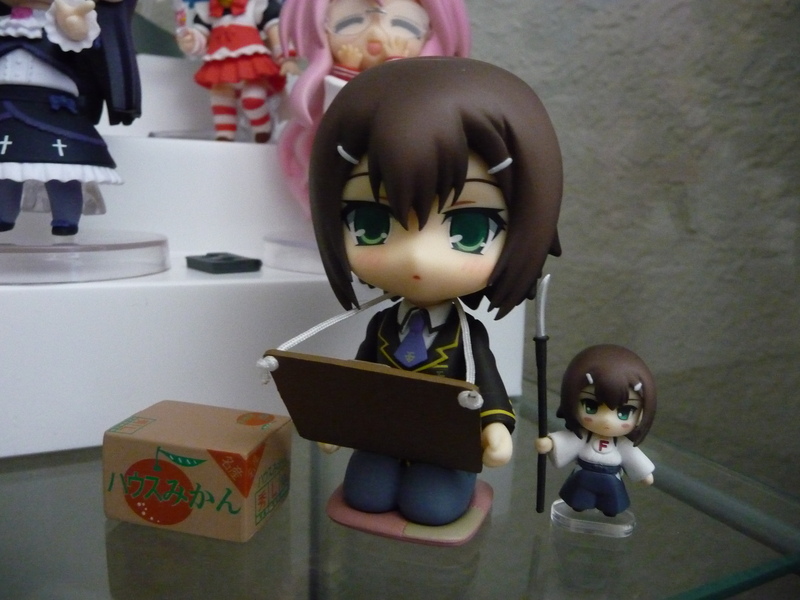 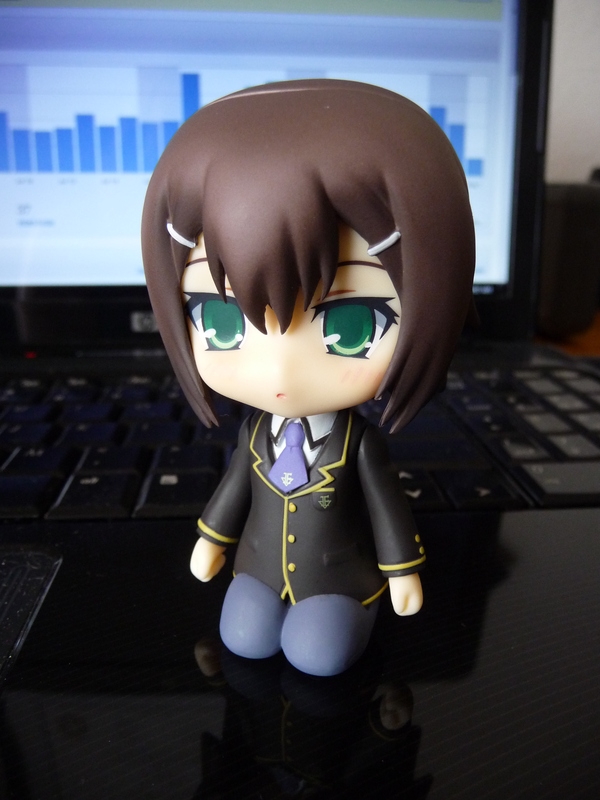 But on completion of my MCAT, I finally received the Kinoshita Hideyoshi nendoroid! 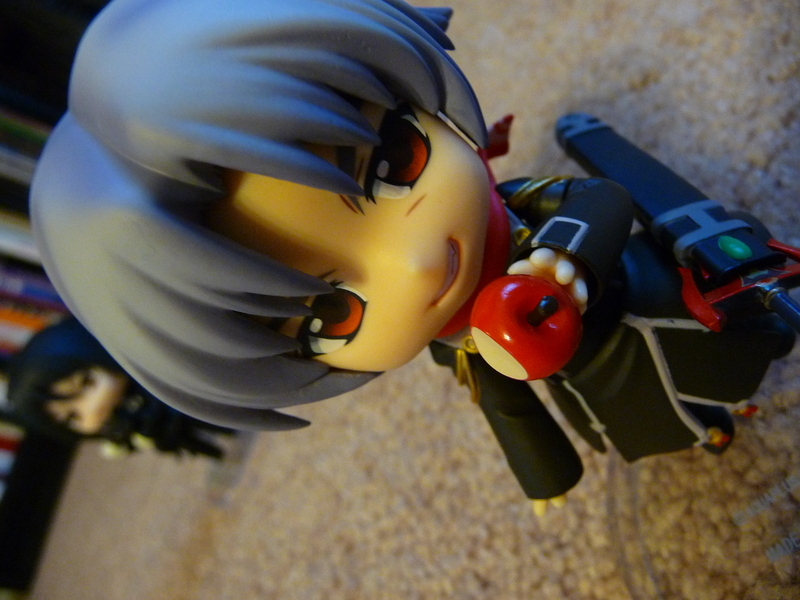 He is really cute! 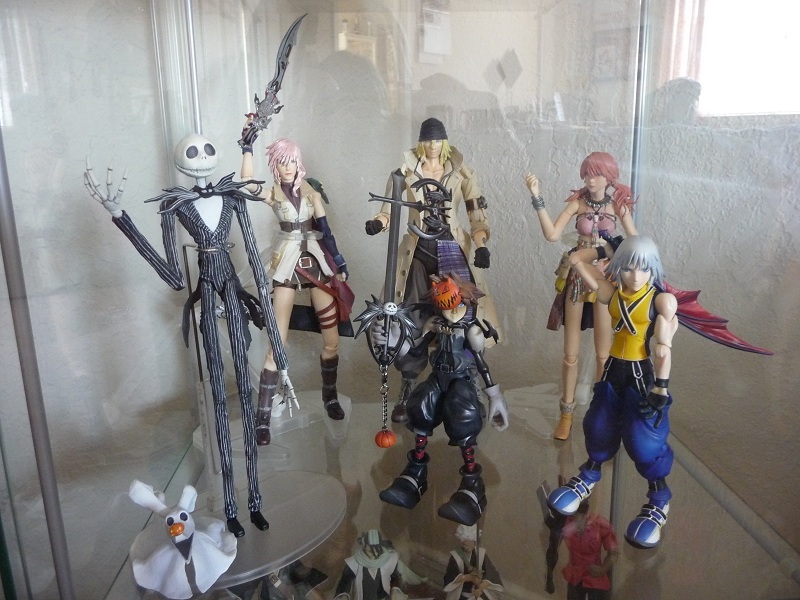 I was also going to buy Monster High Draculaura and Play Arts Kai Dissidia Cloud and Squall to make it an after MCAT loot. 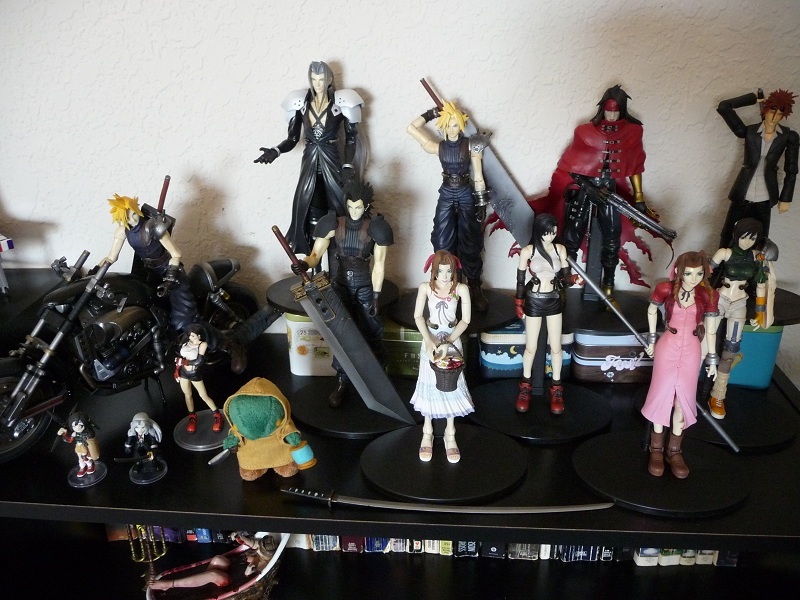 Sadly, Draculaura was sold out everywhere, and none of the local places ordered either of the Play Arts Kai dissidia figures. 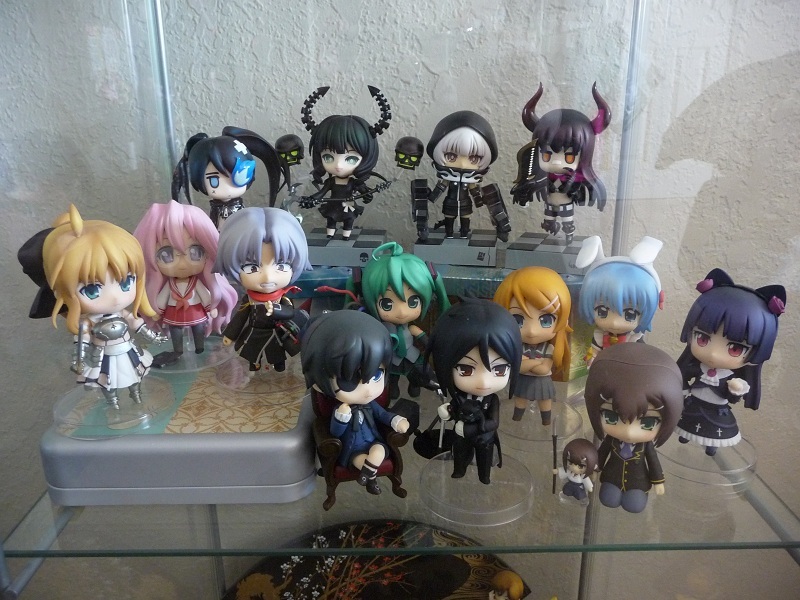 My nendoroid collection has grown rather large, and with at least three more pre-orders on the way before the year ends, I definitely need a new shelf! 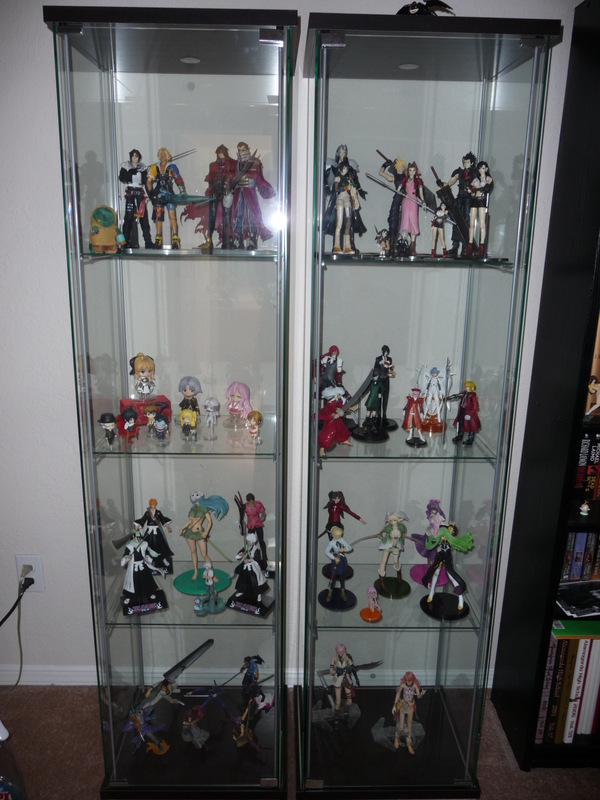 A shelf just for nendoroids would be great, but I haven’t found one I like yet. 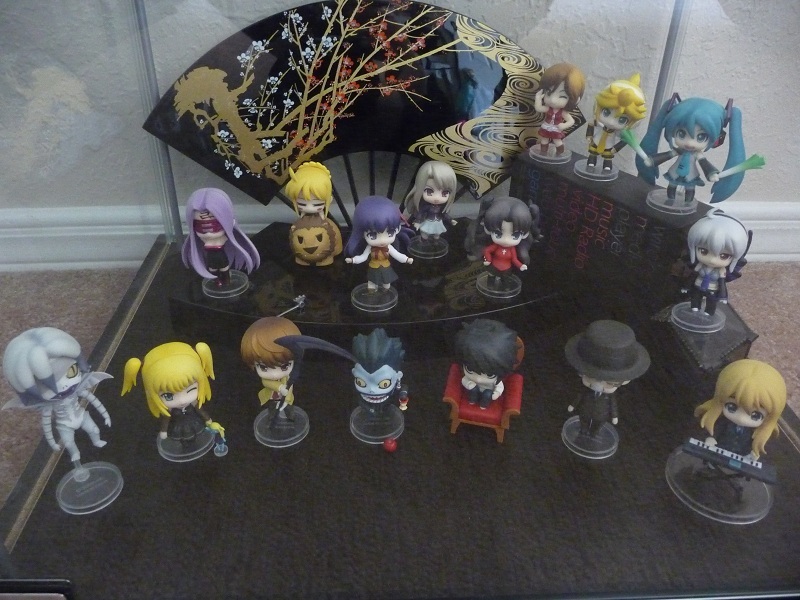 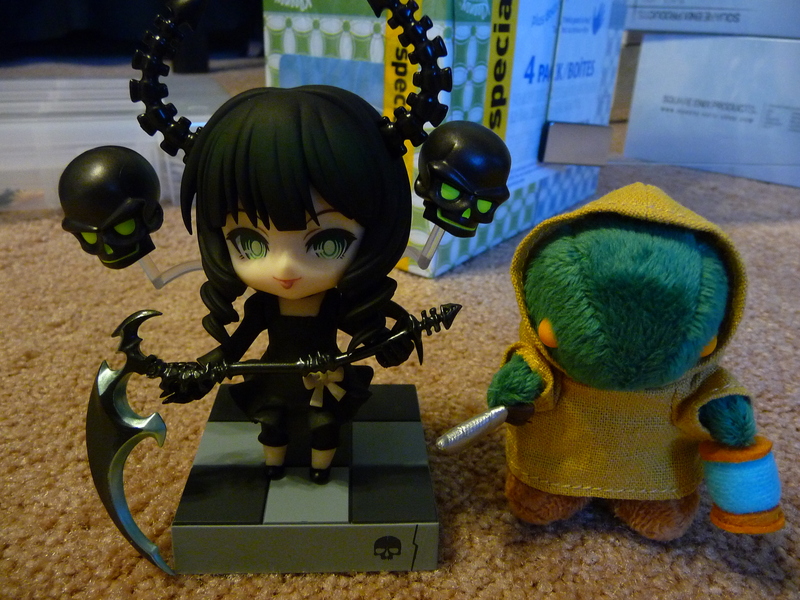 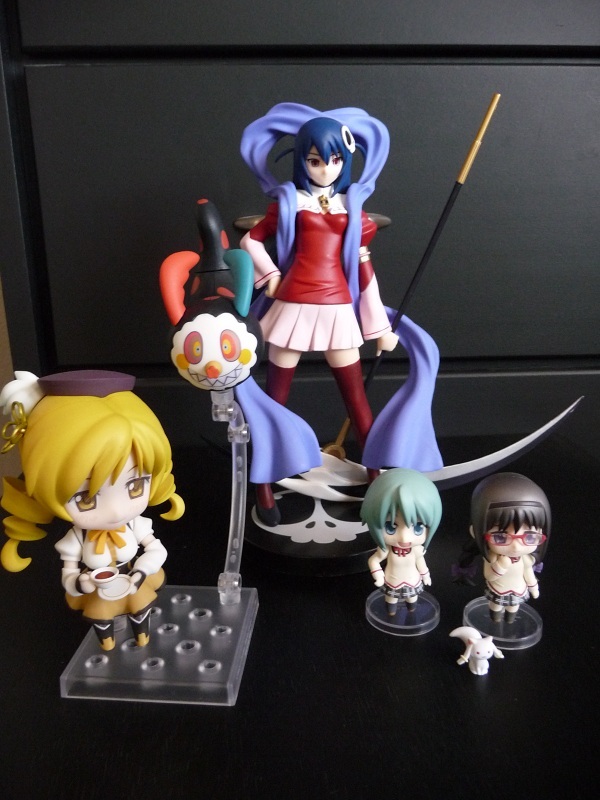 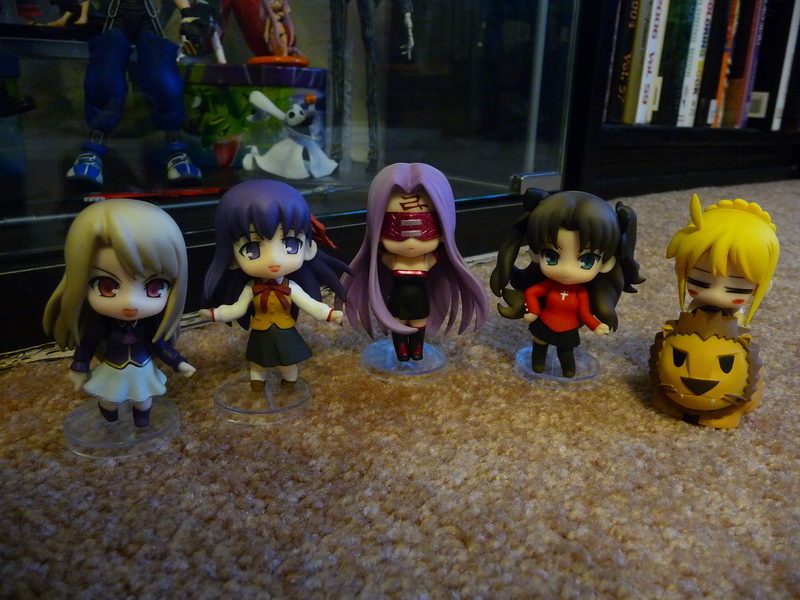 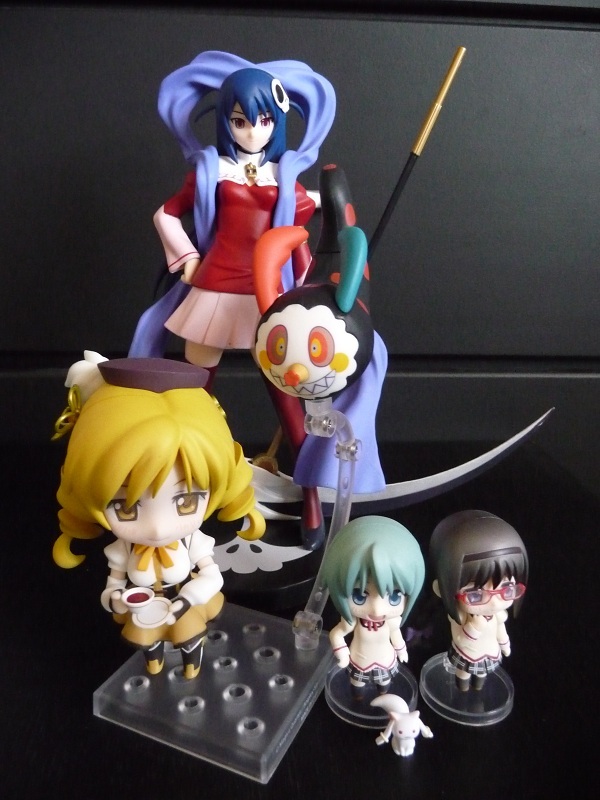 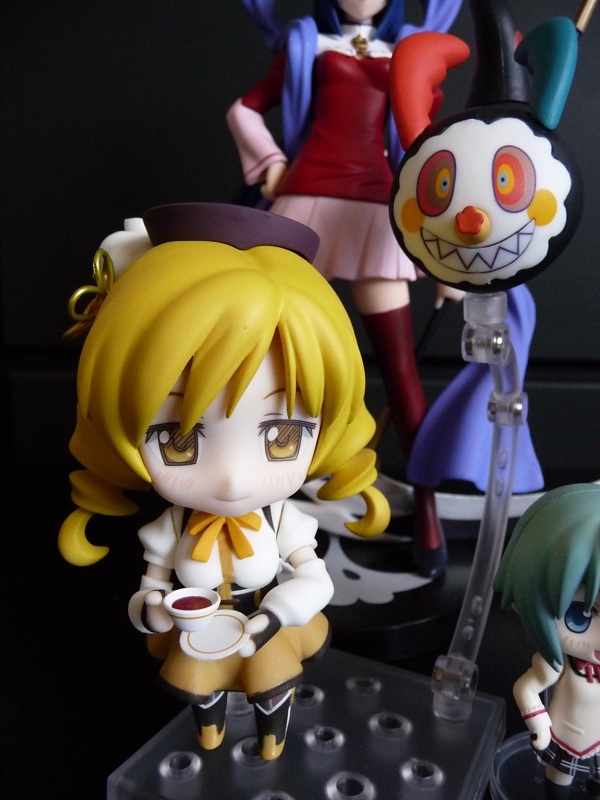 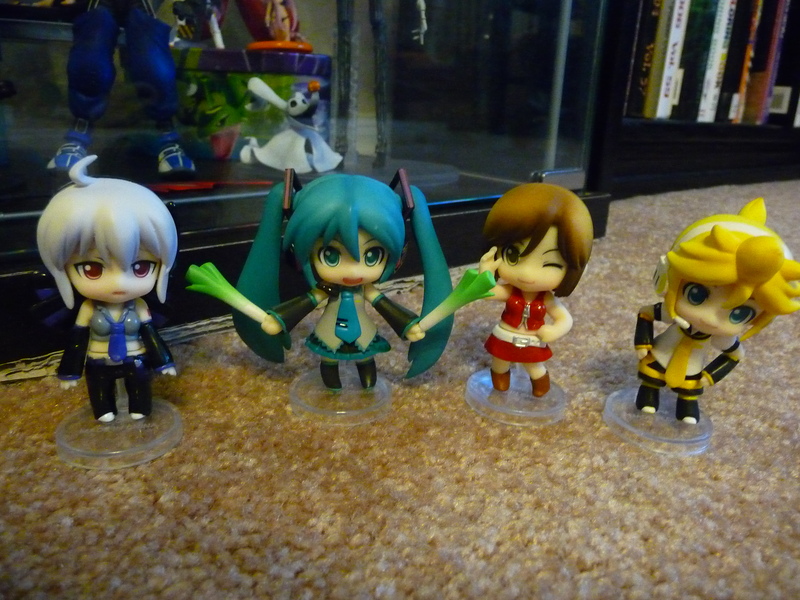 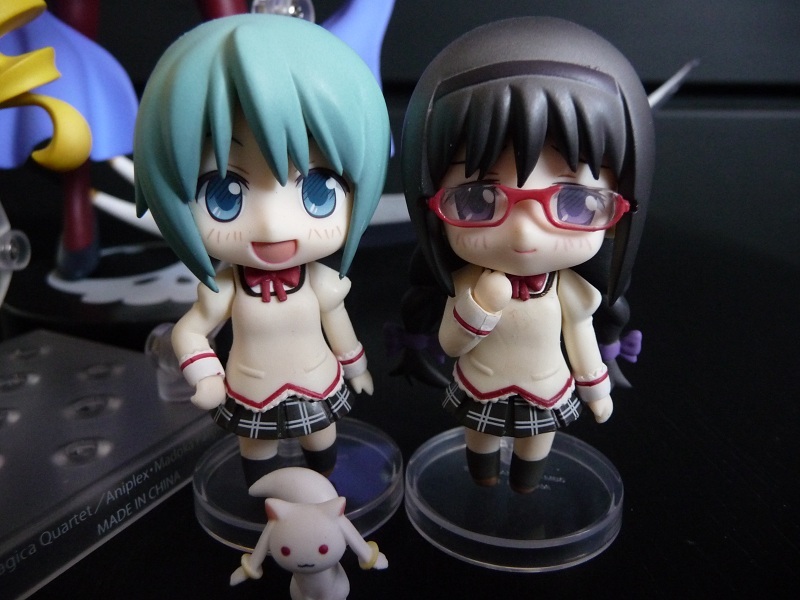 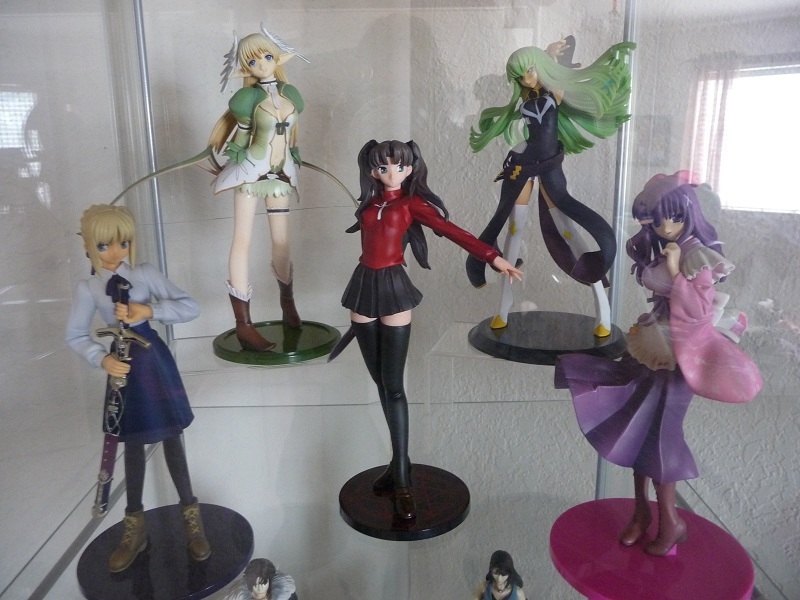 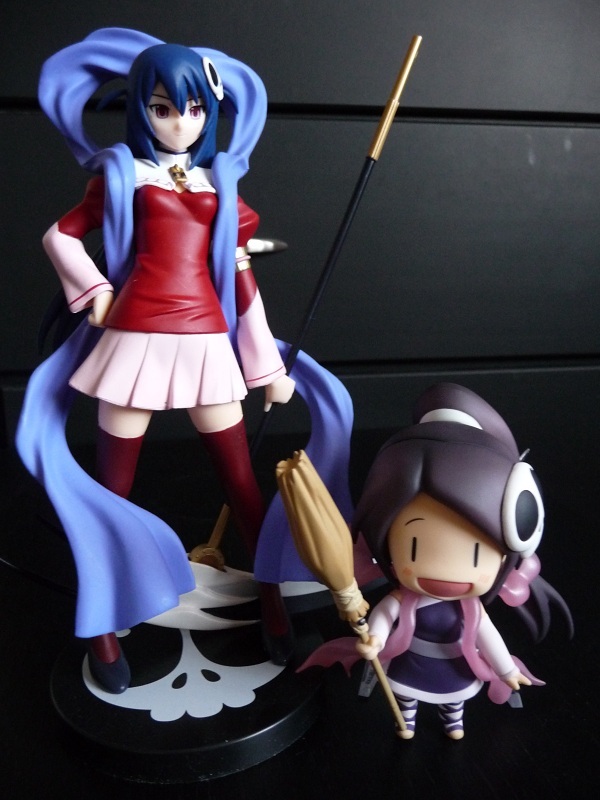 So for now they will just have to be squished into one area of my Detolf display. 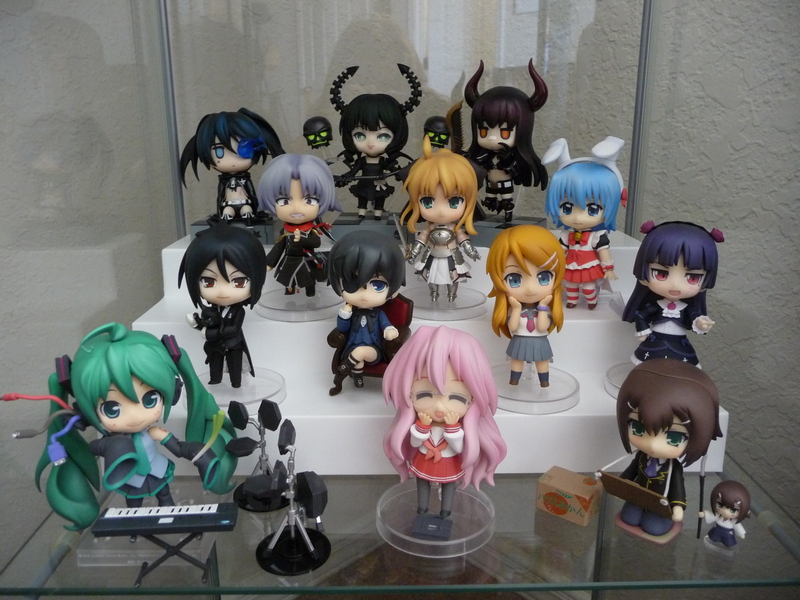 I was going to buy some new toys last weekend, but when I got to the shops, the nendoroids Mio and HMO Miku, and the play arts mickey mouse I had been interested in were sold out =( but that’s ok there are alot of new figures coming out this year that are must haves! 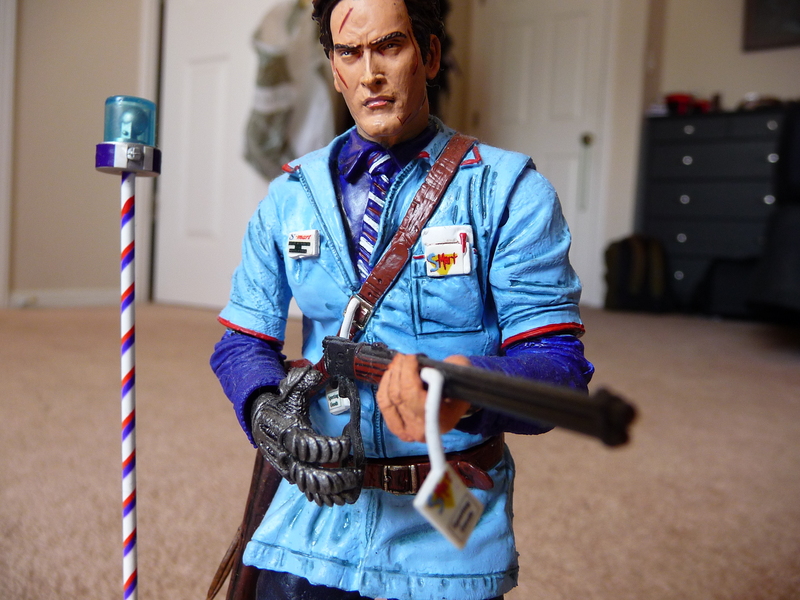 In the mean time I thought I would show off my american toy collection! 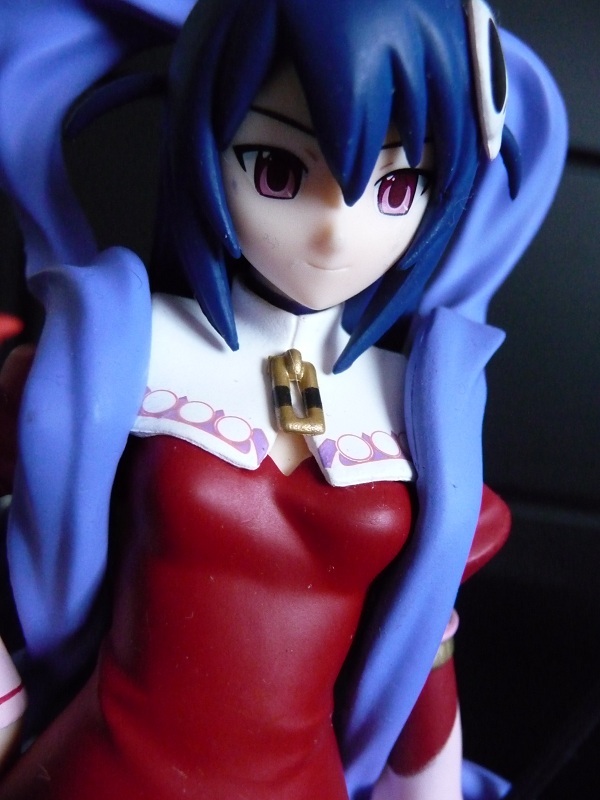 I do prefer japanese figures over american ones for two reasons (other than subject matter): american toys tend to have really obvious seam lines and bad paint jobs. 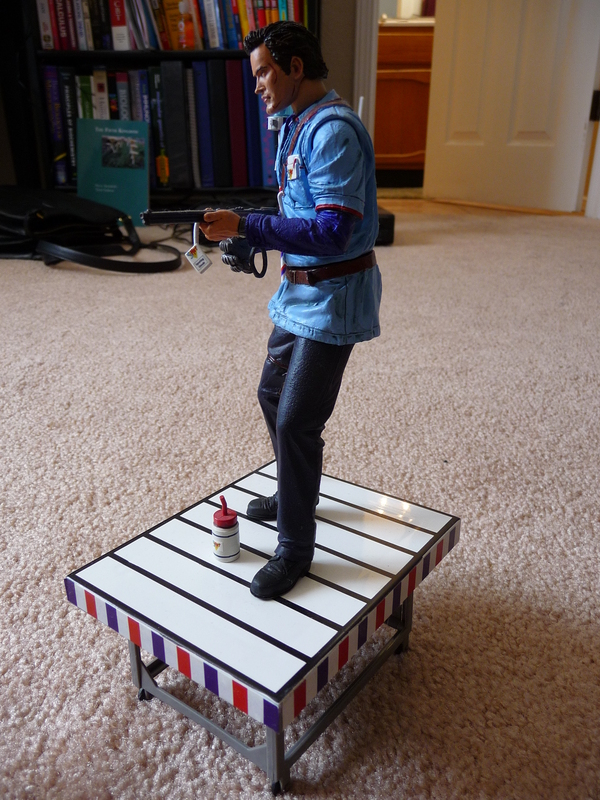 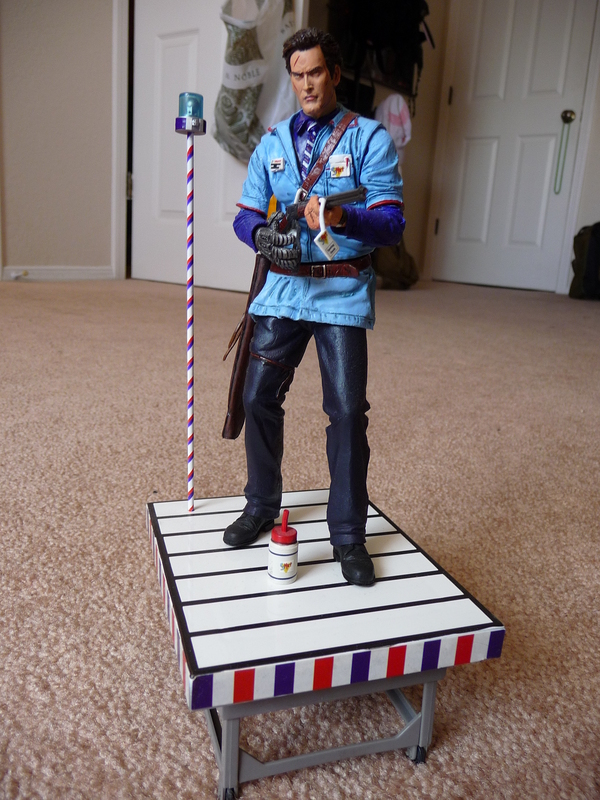 Take NECA toys for example, they tend to be hit or miss; the bioshock line is a hit but the twilight line looks horrible! 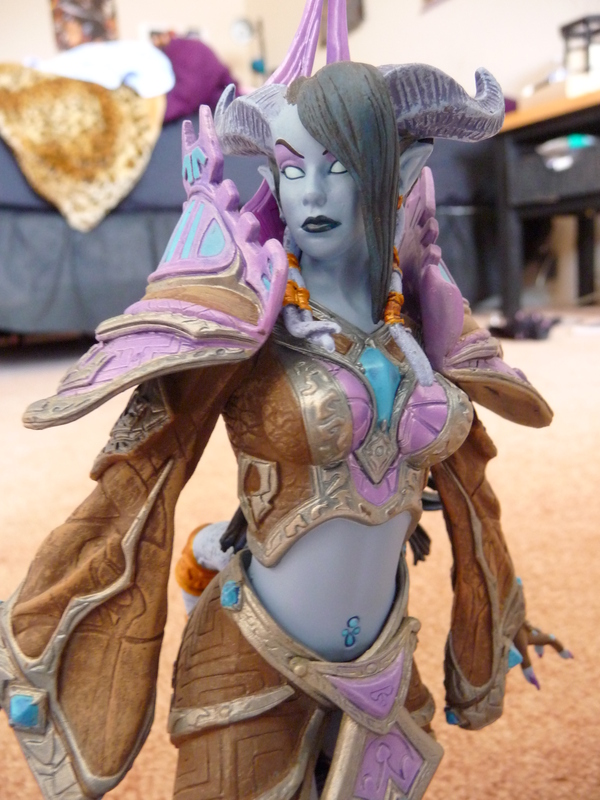 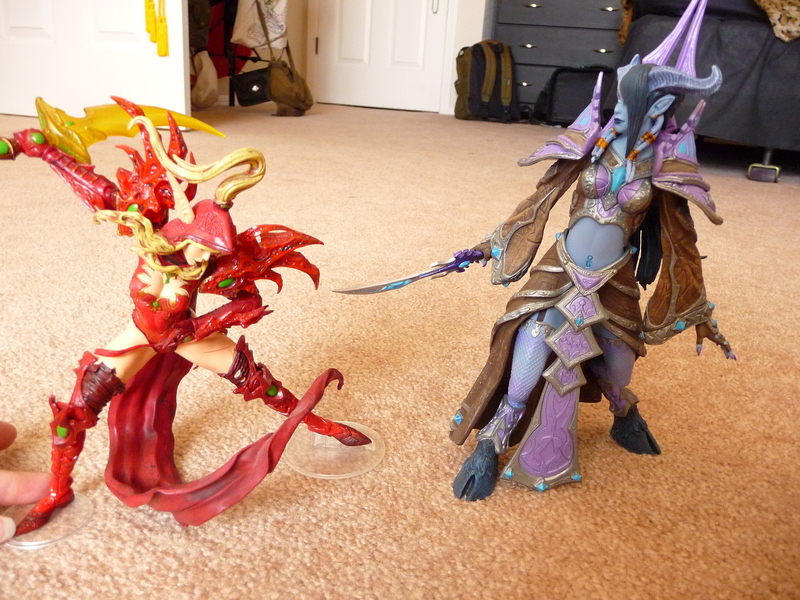 I do not play WOW, but these looked great! 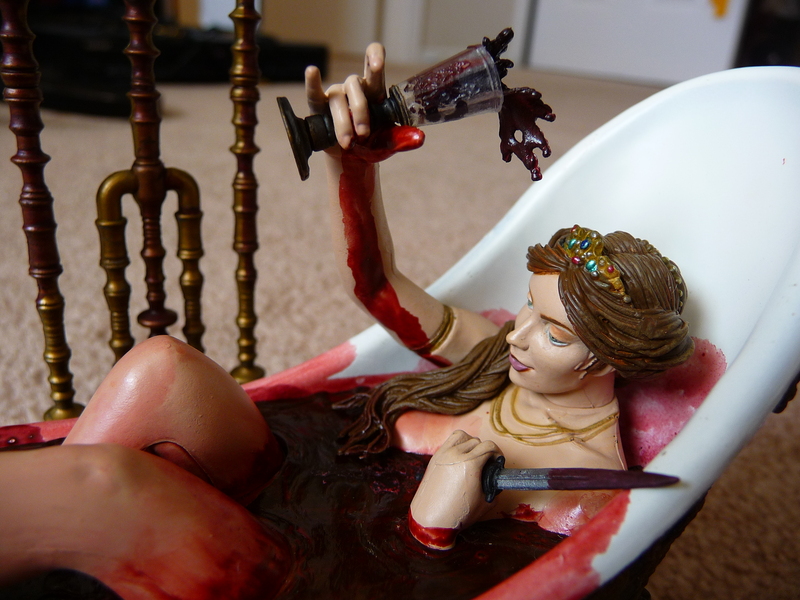 Be warned though, they are leaners! 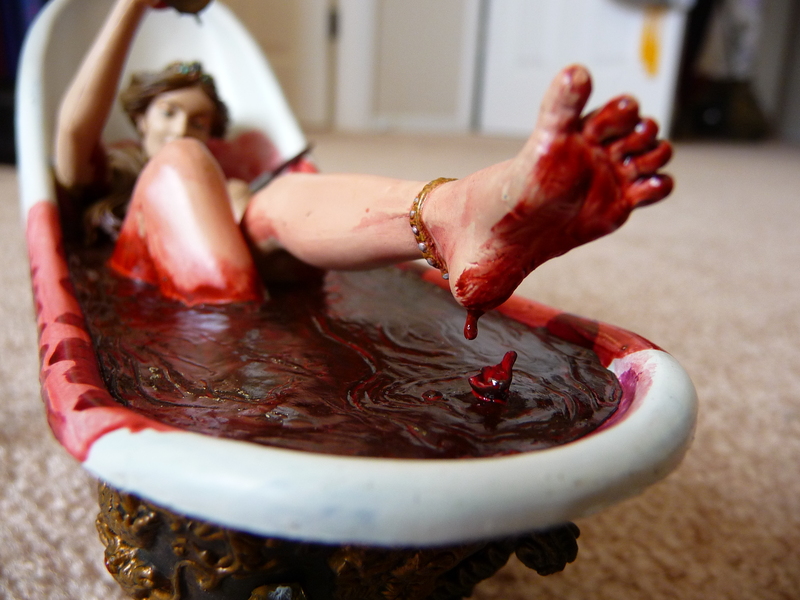 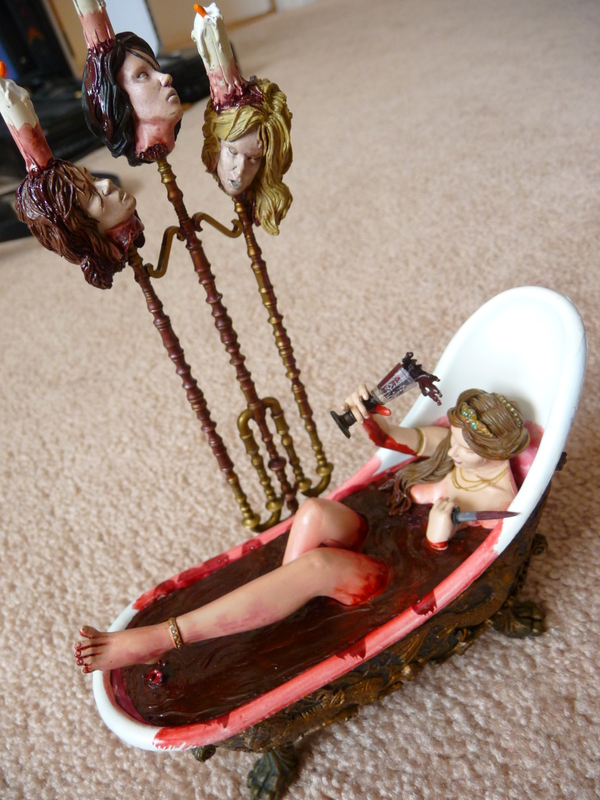 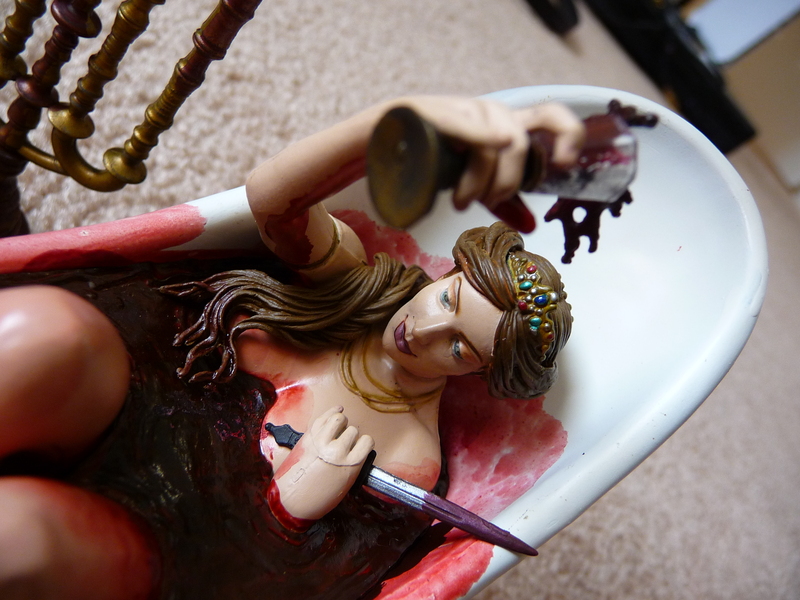 Warning, this toy is gory! 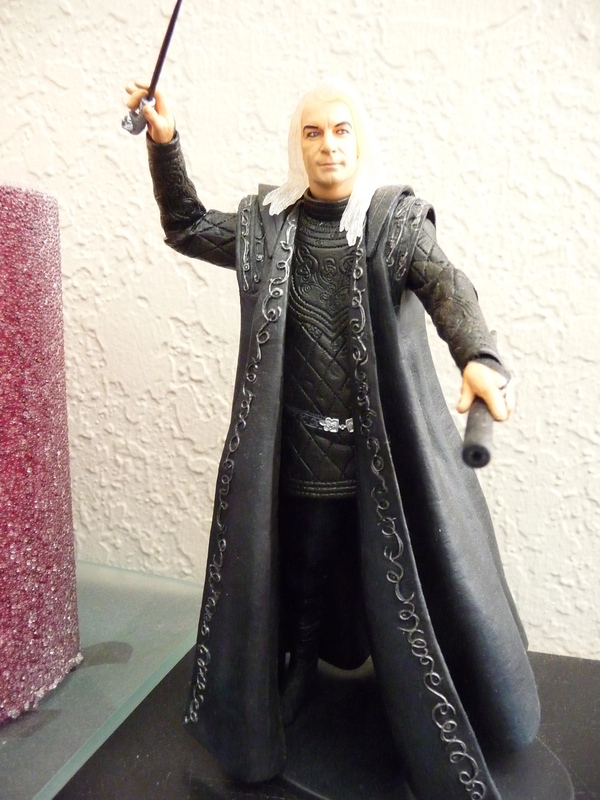 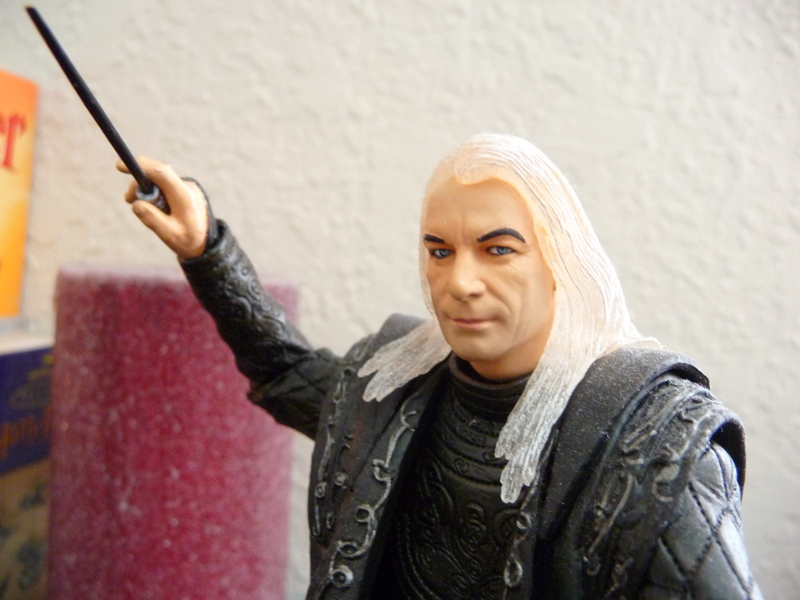 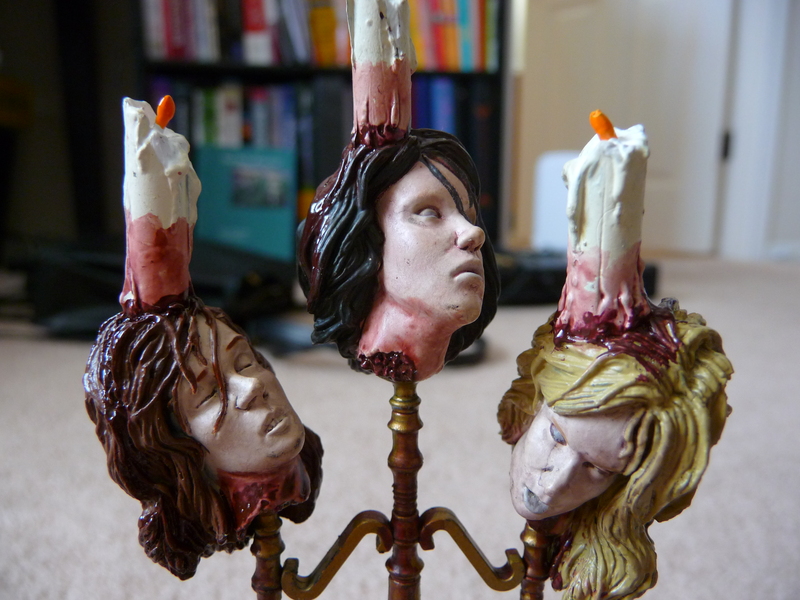 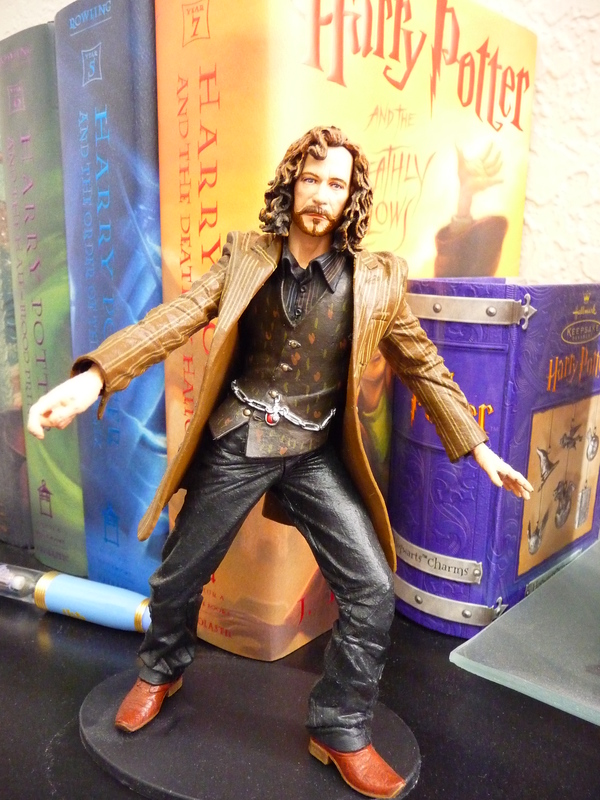 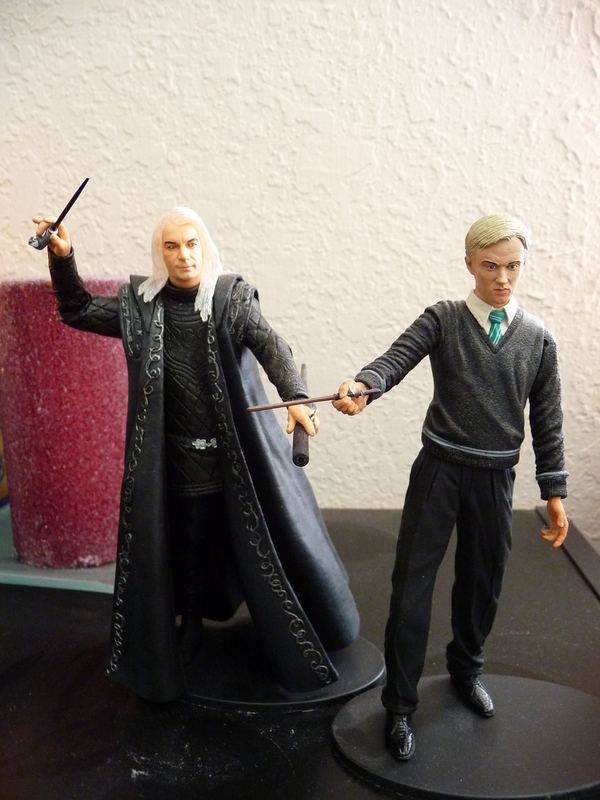 I love historical figures (whether accurate or not), and hope to get the Vlad the impaler someday! 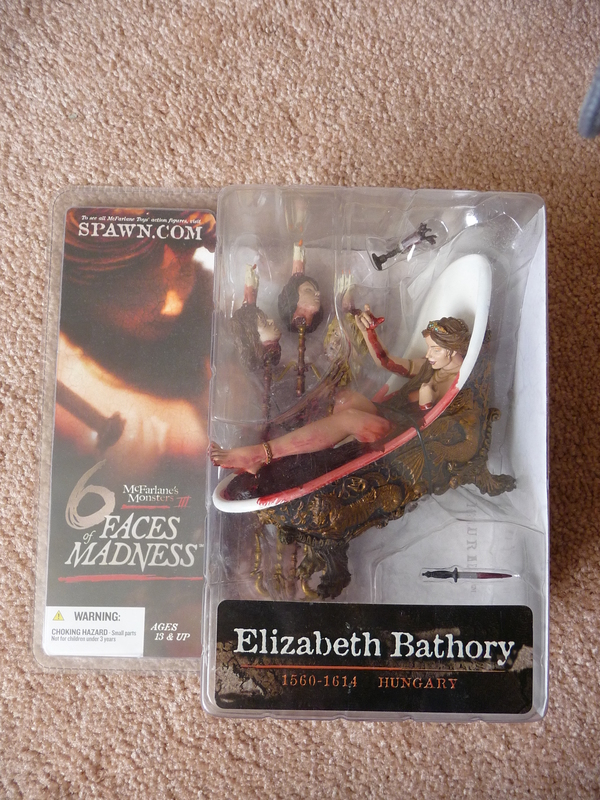 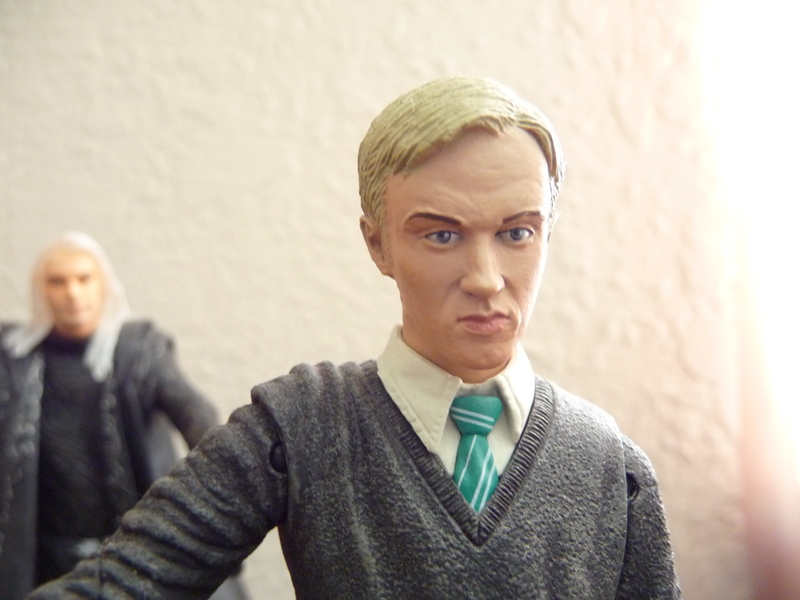 It would be neat if Mcfarlane made another line of Faces of Madness (which is what this toy is from).